I had to share a beautiful flower stamp. The other night I was coloring with blender pens and decided to try different combinations. We often time look at a stamp and only view it in one dimension. 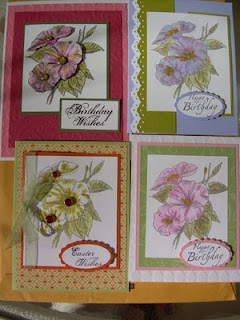 I decided I wanted to make each card very different from each other beyond the colors and the flower stamp used. The top left card is larger than the other three and I cut extra flowers and used dimensionals. The top right I decorated more by using our great punches. The bottom right card I used our awesome Designer Series Paper and the Sizzix embossing plates. 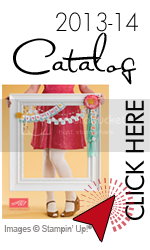 The bottom left has our beautiful DSP paper and rhinestone brads. I also hope you noticed the great NEW oval scallop punch. I love it !I hope the cards get your stamping muse going.